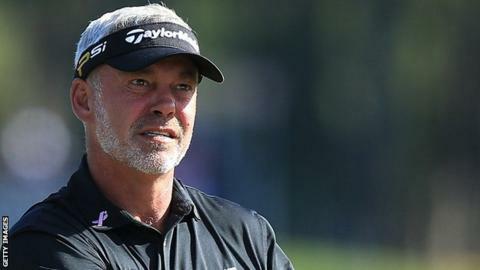 Ryder Cup captain Darren Clarke hit a three-under-par 69 in the first round of the Thailand Golf Championship. But the 47-year-old Ryder Cup captain trails leader Jamie Donaldson by six shots after the Welshman carded a superb 63 to lead the field by three. Clarke was one under par after three birdies and a couple of bogeys, but an eagle at the par-five 15th lifted him up the leaderboard. Sergio Garcia of Spain is in a group of three players sharing second place. He landed his first title in two years by winning last week's Ho Tram Open in Vietnam. Victory for world number 68 Donaldson would hoist him into the top 50.